First, I knew that a wild turkey, much like all wild game, is very lean. That means that any long exposure to heat will quickly dry the meat out and turn it into something that resembles the leather on a shoe. That means, you are going to keep it moist. The best thing to do with poultry is a good soak in brine. Brine actually fills tissue cells with water, making it harder for the turkey to dry out. I did tons of research on brine recipes, but ended up going with an idiot proof method. 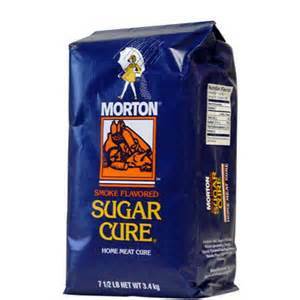 I found a bag of pre-mixed brine, called Morton’s Sugar Cure. You can find it in the grocery store near the salt. It is a mixture of brown sugar, salt and a small amount of liquid smoke. The sugar cure is intended for people who want to make their own hams and cured meat at home. But, it was a good fit for my first attempt at wild turkey. After the brine process is done, I rinsed the turkey breast, to remove any excessive amount of salt. Then it was off to the smoker. 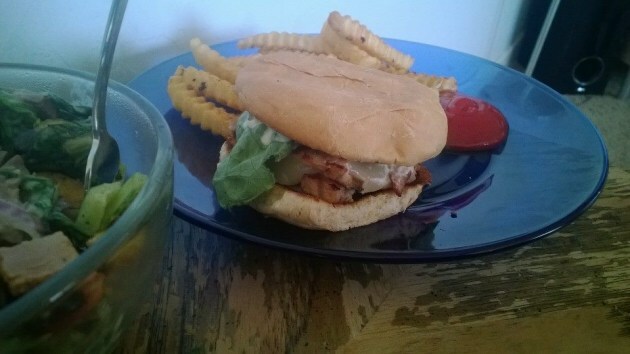 I chose applewood chips to use for my smoke. I also pour the remaining brine into a baking pan and put it in the rack below the turkey to add moisture. I also laid a couple slices of bacon on the top of the turkey breast, in hopes that it would help keep the bird from drying out. I set the temperature for 200 degrees and let the smoker do it’s job. My goal was to get the internal temperature of the meat to 160 degrees, before I could consider it mission accomplished. After 3 hours in the smoker, I took the bird out and finished in the oven.